J Bar B's experience and heritage combined with exceptional product line variety, the highest level of safety in the industry and dedication to innovation ensures a commitment to quality and service that's unprecedented in the industry. For over 55 years J Bar B Foods has stood for the very best in quality sausage and specialty meat products for retail and food service operations. Offering outstanding product line variety, J Bar B has become one of the leading producers of sausage, smoked meats and barbecue products in the nation. 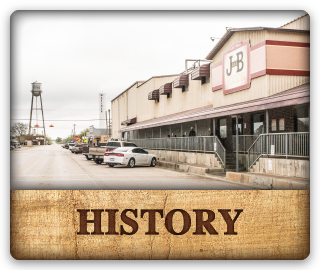 Family owned since 1959, J Bar B has maintained it’s unique Texas smokehouse flavor along with the highest standards of food safety and quality. Under the innovative leadership of the Janecka Family, J Bar B has blossomed from a “mom and pop” operation to the number one sausage producer in the state of Texas.